Get some cultural insight at Royal Palace of Madrid and Diseno Propio. 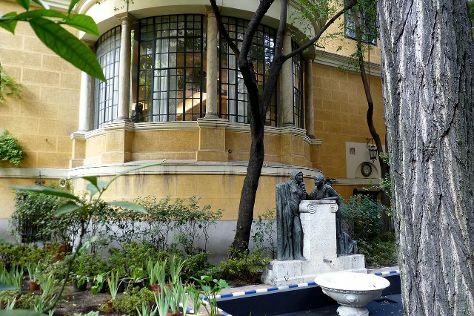 Artesania.. Head to Mercado San Miguel and Canal Art Exhibition Centrefor some retail therapy. Explore Madrid's surroundings by going to Segovia (Torreon de Lozoya & San Martin Church) and Toledo (Centro Cultural de la Caja Rural, Catedral Primada, & more). And it doesn't end there: examine the collection at Prado National Museum, browse the different shops at ABC Serrano, take in nature's colorful creations at Retiro Park, and don't miss a visit to Gran Via. To see more things to do, reviews, other places to visit, and more tourist information, use the Madrid trip planner . Salvador, Brazil to Madrid is an approximately 13.5-hour flight. You can also do a combination of bus and flight. The time zone changes from Brasilia Time to Central European Time, which is usually a 4 hour difference. Traveling from Salvador in February, expect Madrid to be colder, temps between 13°C and 3°C. Finish up your sightseeing early on the 4th (Mon) so you can travel to Berlin. 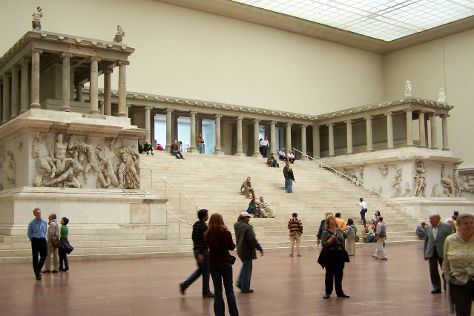 Start off your visit on the 5th (Tue): view the masterpieces at Anomalie Art club, view the masterpieces at Sammlung Hoffman, then take in the exciting artwork at art4berlin GALLERY, and finally explore the world behind art at Pergamonmuseum. On the next day, get engrossed in the history at Silent Heroes Memorial Center, get a taste of the local shopping with Haus Schwarzenberg, shop like a local with Me Collectors Rooms, then shop like a local with OPEN WALLS Gallery, then take in the exciting artwork at Staatliche Museen zu Berlin - Preussicher Kulturbesitz, and finally take in the exciting artwork at Koenig Galerie. To find traveler tips, where to stay, more things to do, and tourist information, use the Berlin trip itinerary planning website . You can fly from Madrid to Berlin in 6.5 hours. Alternatively, you can take a train; or drive. Wrap up your sightseeing by early afternoon on the 7th (Thu) to allow time for travel to Madrid. On the 8th (Fri), steep yourself in history at Templo de Debod, admire the masterpieces at Museo Sorolla, then explore and take pictures at Stadio Santiago Bernabeu, and finally look for gifts at Lola Fonseca. Here are some ideas for day two: admire the masterpieces at National Archaeological Museum of Spain, hunt for treasures at El Rastro, and then get engrossed in the history at Lope de Vega Museum. For more things to do, ratings, maps, and tourist information, go to the Madrid trip itinerary maker . Getting from Berlin to Madrid by flight takes about 6.5 hours. Other options: take a train; or drive. Finish your sightseeing early on the 9th (Sat) to allow enough time to travel back home.